Hearty hospitality has always remained one of the most valued fine traditions of the Indian culture. A guest visiting in our home stay is always considered to be a representative of God. You are invited to experience and share the unique hospitality. 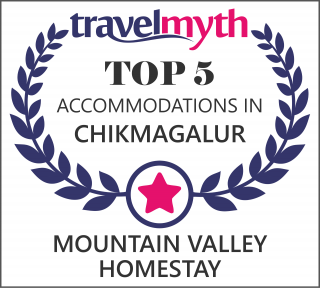 Home Stays are perfect destinations for couples, bachelors and families seeking a private holiday and that's why we introduce the MOUNTAIN VALLEY in Chikmagalur. If you wish to taste the nature in a homely atmosphere, reserve your Home Stays with us..